A trip along the foothills through Dollar and Auchtermuchty to RAF Leuchars near St Andrews and Dundee for our latest installation. 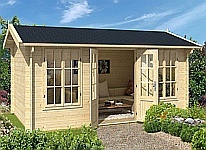 A garden room to provide an extra bit of living space and guest accommodation within a walk of the white sand dunes of Tentsmuir beach. 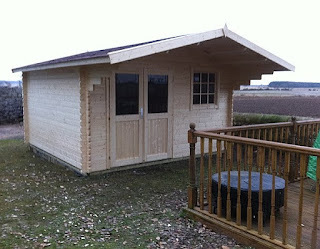 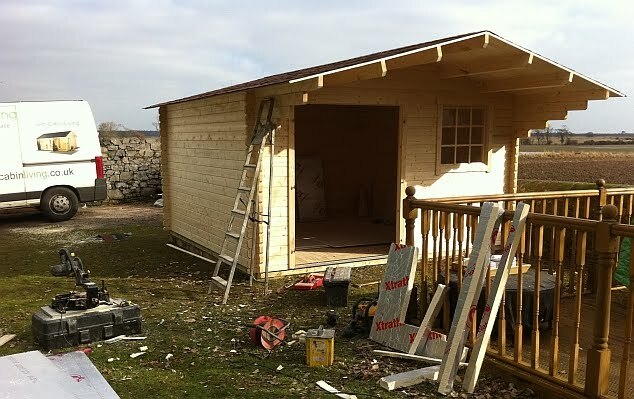 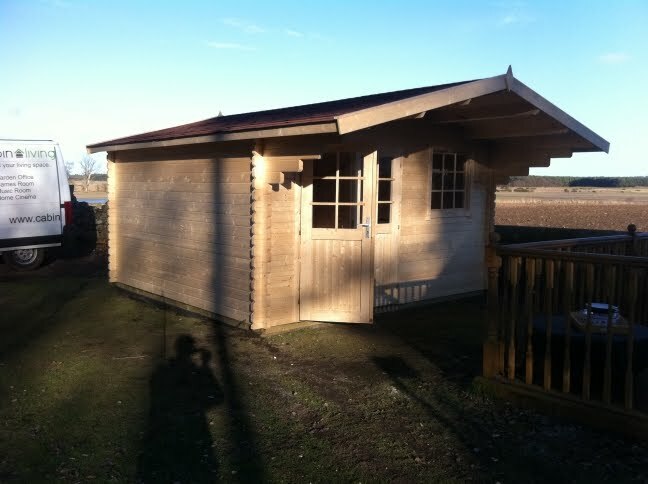 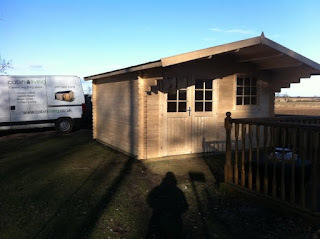 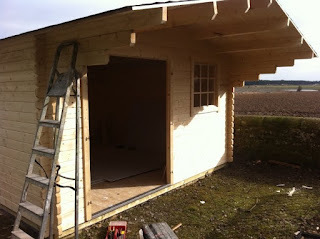 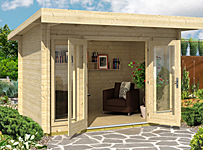 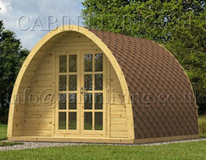 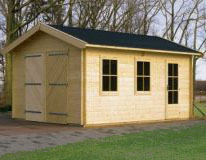 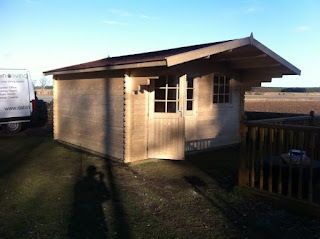 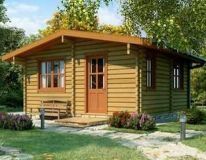 This is our 4m x 4m Thirsk log cabin which is a very accommodating garden room for any number of uses. 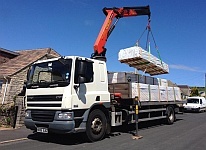 Delivery was made within a week of ordering and is now ready for electrical installation four days after delivery. 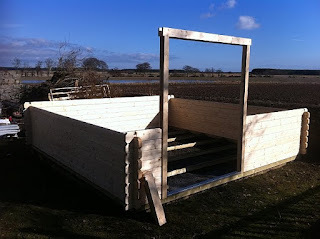 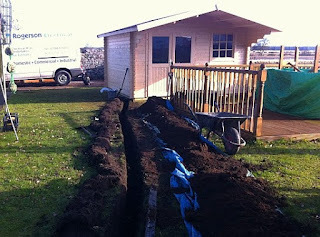 Day one cabin delivery and concrete base preparation. 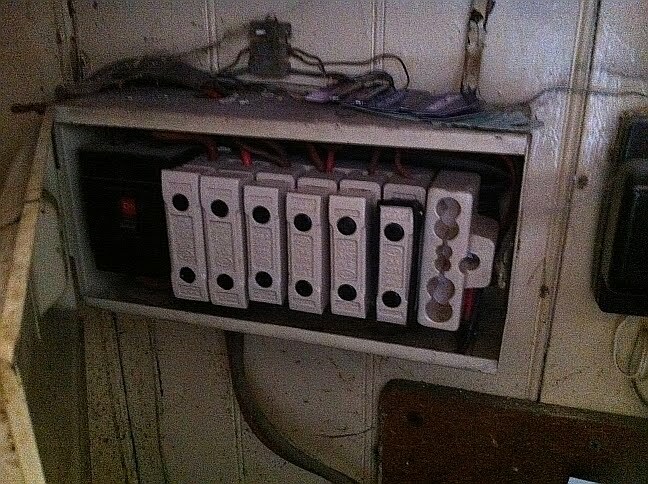 One issue we occasionally encounter is an out of date connsumer unit. 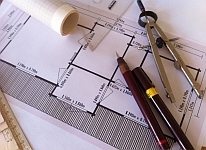 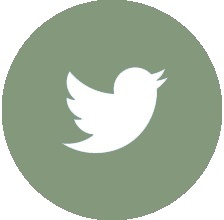 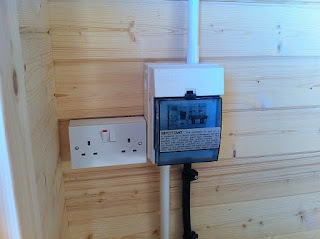 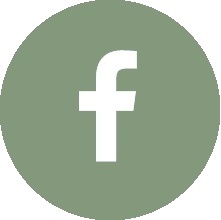 To install new electrics for the cabin and certify the work the consumer unit needs to meet modern standards. This unit clearly doesn't! 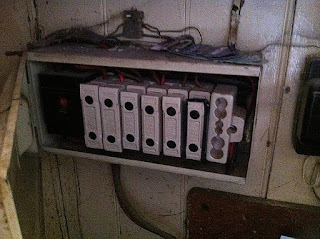 Typical cost is around £250 to upgrade a consumer unit such as this to modern standards. 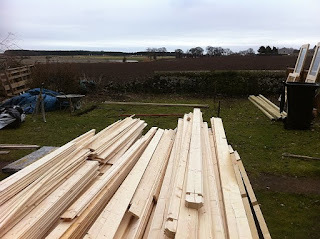 Roof boards going on the sunshine! 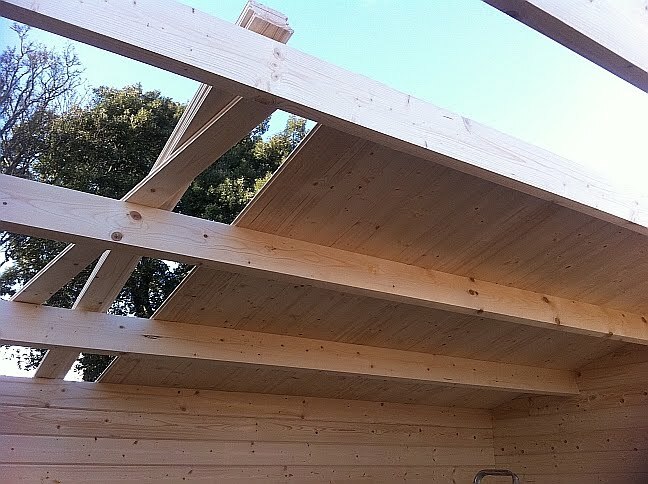 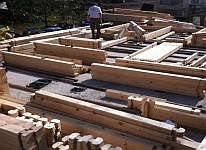 50mm Celotex boards in the roof anf floor provide a well insulated garden room. 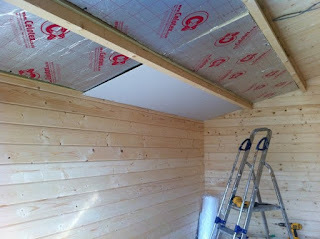 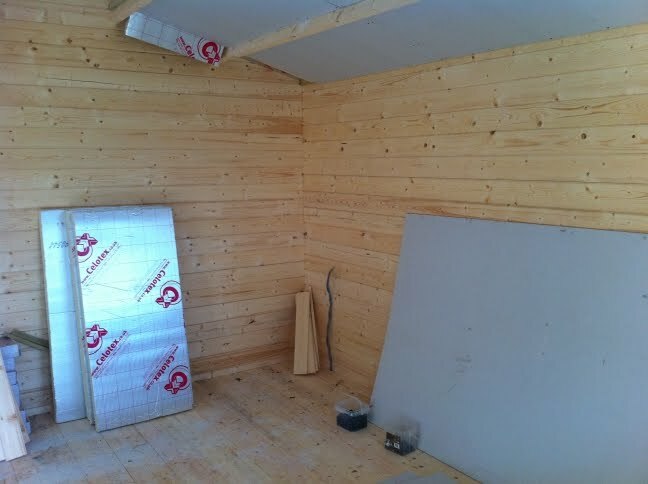 Ceilings finished in plasterboard mounted between the roof joists to maintain the cabin feel of the building. 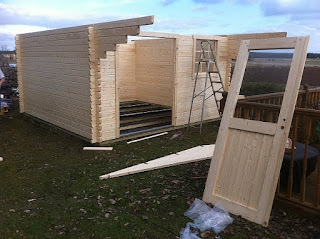 Trim not yet up and the doors still to go on but progressing well and installation is almost complete. Trim added a few finishing touches such as the window beading and skirting on the laminate floor to complete when we go back to fit the electrics later this week. Back to Leuchars near St Andrew's yesterday following the arrival of the armoured cable from the electrical wholesalers. As our Stirling based electrician Andy worked inside the cabin fitting the sockets, trunking and lights we prepared the trench for the armoured cable. 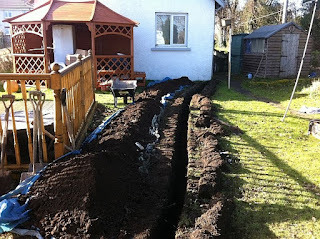 The cable is buried beyond 450mm deep ie significantly more than a spades depth. 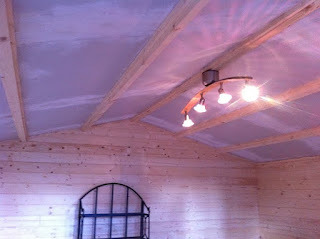 Directional spotlight supplied by our client provides a flexible lighting solution ideally suited for use in your log cabin. Fuse box within the cabin with trip switches for both the lighting circuit and ring main circuit. 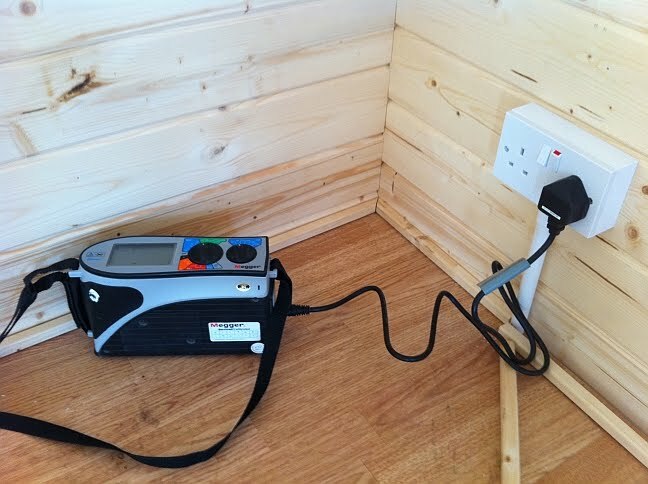 Electrical testing underway so that safety certificates can be produced on completion. 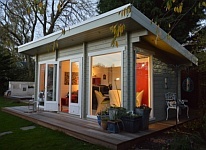 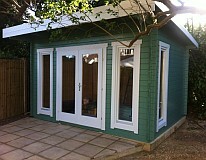 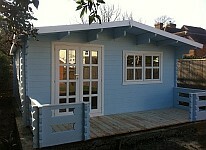 The garden cabin complete and ready for handover. 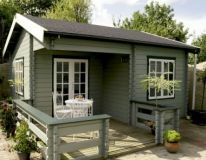 Many thanks to Jean and John for their hospitality and for what are undoubtedly be the best ever cheese and ham toasties!